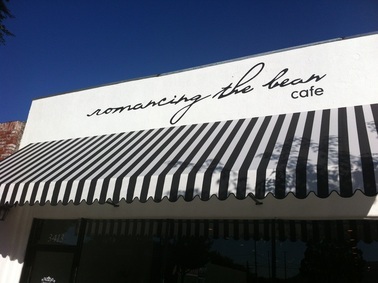 Romancing The Bean is a familiar name to many who live in Burbank. After three other locations, they have just settled down in the heart of Magnolia Park. What a glorious location it is! I knew they opened last week…and I knew I had to go see. I am not lying when I say I suddenly felt like I wasn’t in Kansas anymore…in a very good way. The hidden European in me was jumping up and down like a school girl with a gift certificate to Staples. Wait, is that just me? Staples makes me happy. I felt like I was having an “Out of Burbank” experience and I loved it. 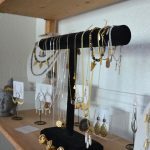 I went in last Wednesday for a visit to talk with owner, Kerry Krull. I made it inside four feet before I literally stopped and had to study the atmosphere, otherwise I would have been too distracted to have a conversation. No, seriously. The interior design in this cafe is so perfect. 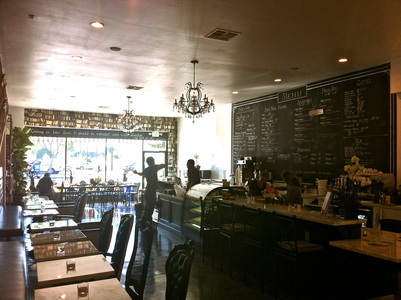 I would like to point out, that this is a cafe..not just a place to get coffee. There is coffee, yes. Delicious coffee…and tea, but it is a cafe. 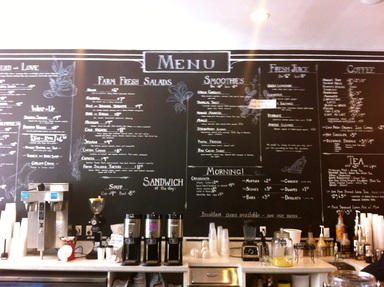 The menu is amazing and all created by the owner herself, a culinary school graduate. 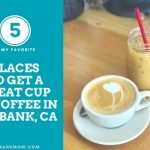 I ordered a Vanilla Latte..with an extra shot of espresso of course…and shook hands with the Burbank Mom who is headed into her first full week with a new shop in Magnolia Park. As we sat down to chat, this is how my Latte was delivered to me. 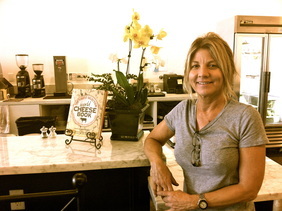 Kerry Krull is owner and operator of Romancing The Bean. She is also, as mentioned above, a Burbank Mom. 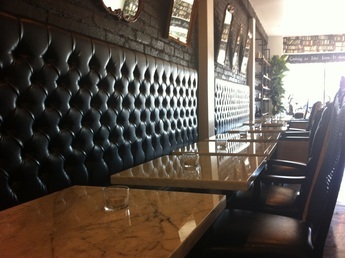 Kerry’s daughter is actually the designer of the interior of the cafe and she has done an amazing job. So amazing in fact, I did not want to leave when my visit was over. 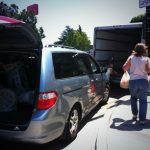 Kerry says a lot of the traffic during the day has been moms with strollers….did you hear that Magnolia Park Moms?! There is plenty of stroller room inside and seating to accommodate…within walking distance. 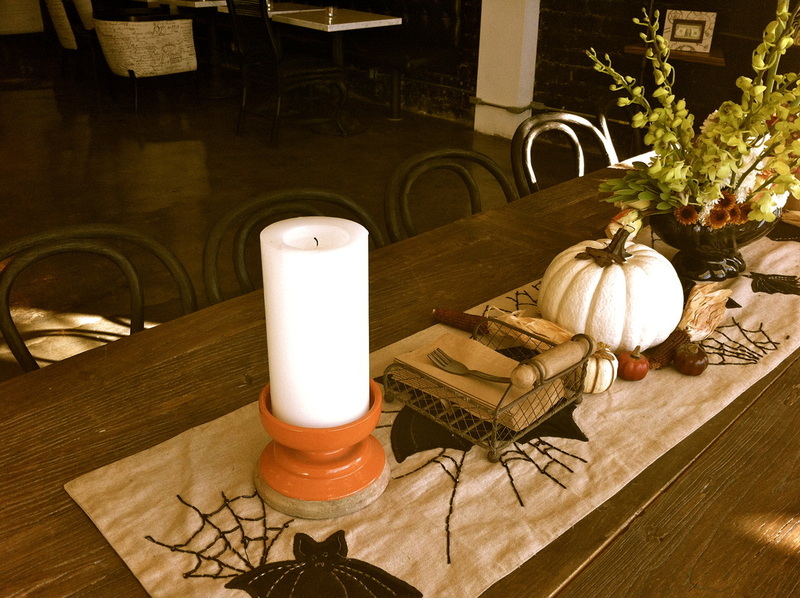 Expect to see seasonal changes in the menu! I’d stop into a place like that any day. If this doesn’t make you feel at home, I’m not sure what will. Women’s Brunch For Genesis House This Morning…Donation Drive A Success! 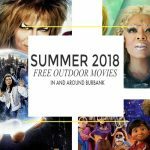 Free Outdoor Movie Screenings In Burbank This Summer! Is Target Express Coming To Magnolia Park Burbank? 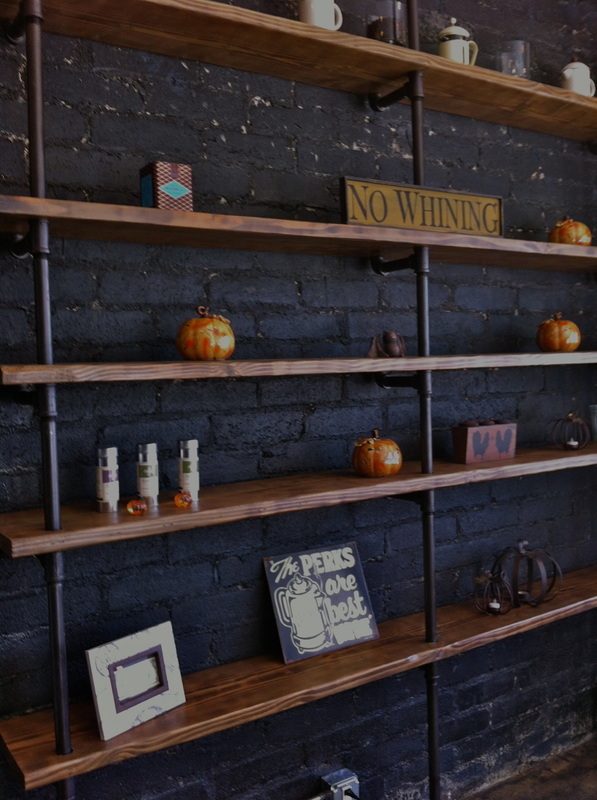 Please tell me how you like it…it’s a great shop! The interior is splendid and wonderful. 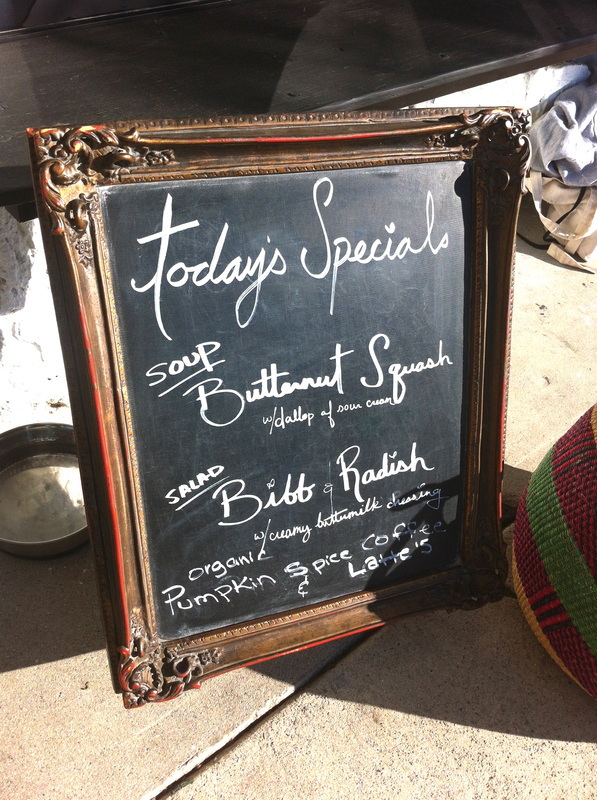 The coffee, teas and food is as delicious as only the owner, Kerry Krull, a true Mothers mom, can make it. It is a home away from home and a delight for the senses. I wish they had one in every city. Magnolia Park in Burbank is very fortunate indeed. 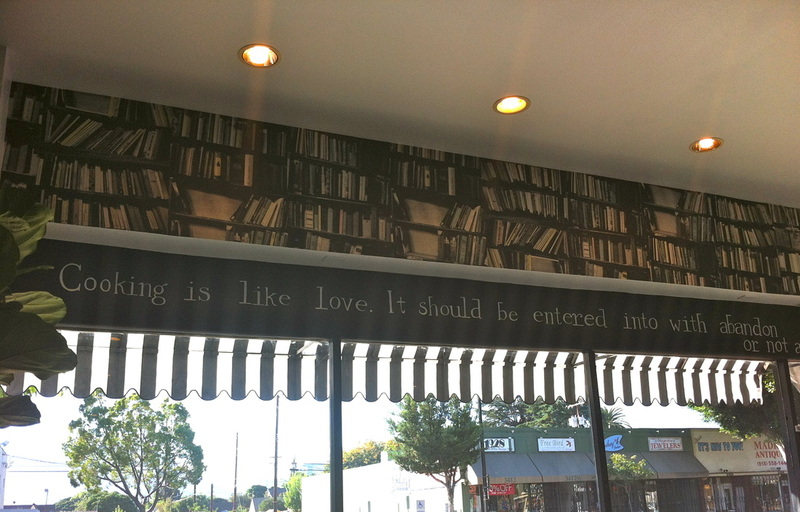 Excuse the grammatical error in the above – it should read “The coffee, teas and food ARE as delicious……” Excuse me. You are excused! Grammatical errors happen to the best of us! I’m so glad you enjoyed and I fully agree, every city should have one.